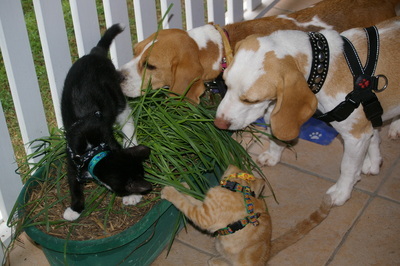 Social – Any interaction between animals, without conflict is social enrichment. It does not even need to be animals of the same species. You sitting with your cat is social enriching (for the both of you). 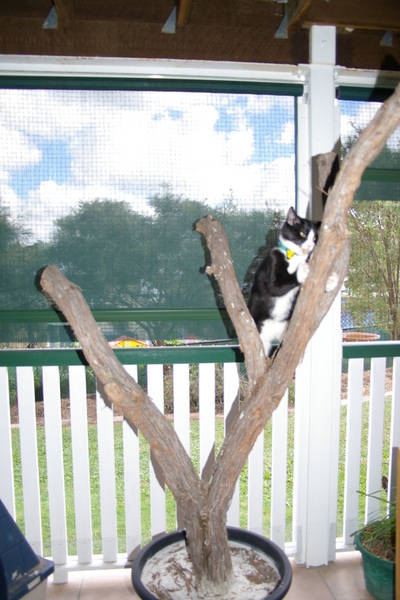 Your cat sitting on the windowsill watching the birds outside is socially enriching. 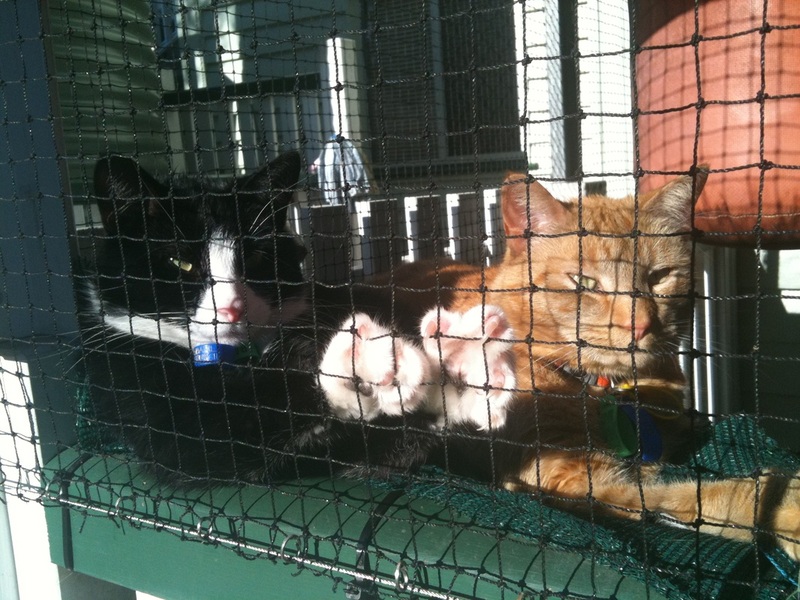 Having 2 or more cats living together (without conflict) is socially enriching. 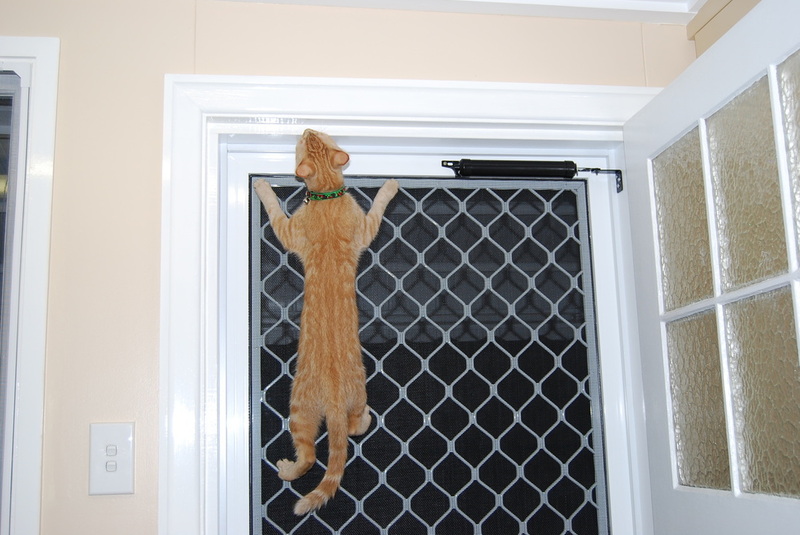 Cats are also natural climbers; provide something suitable for them to climb on. 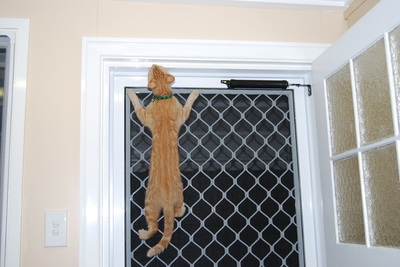 Otherwise your doors may feel the brunt of a kitty’s claws. 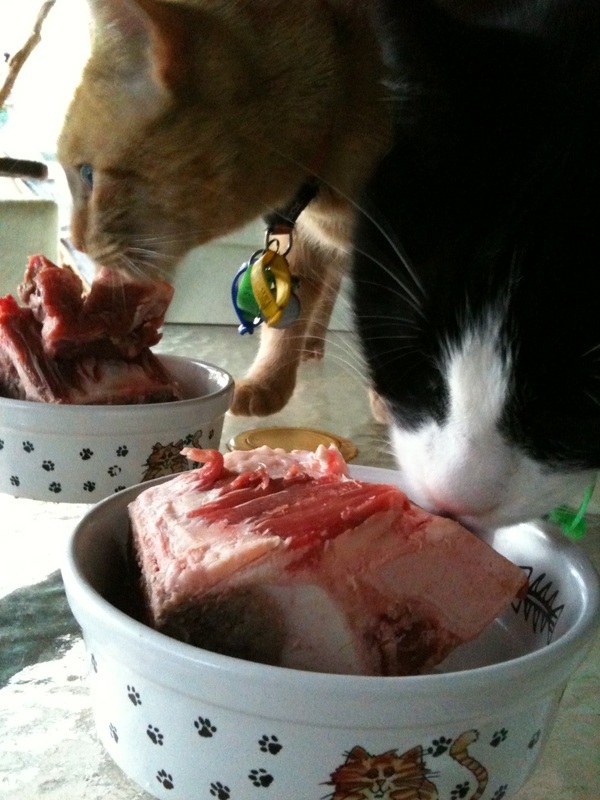 Cats are also chewers – give them appropriate chew objects – cats can and will eat raw meaty bones if provided the opportunity. 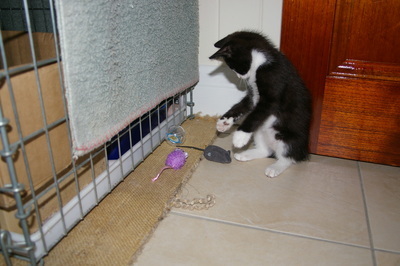 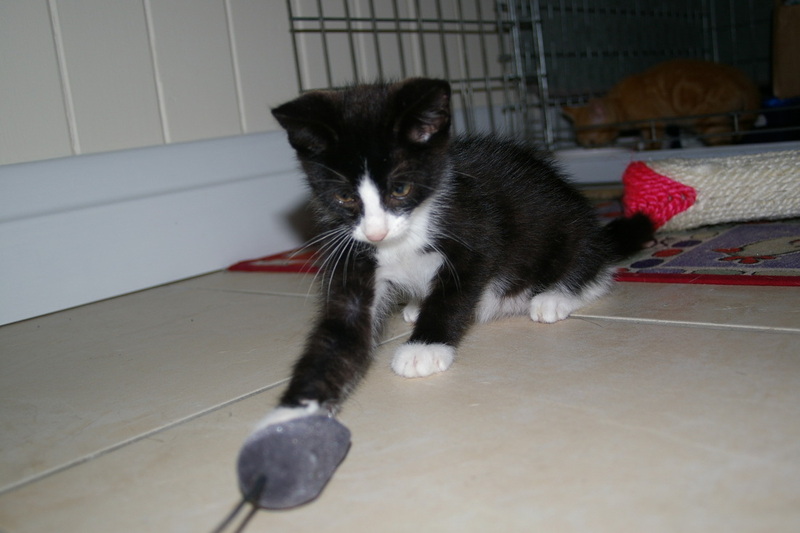 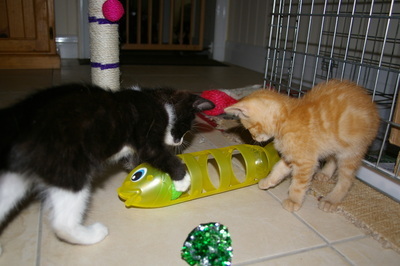 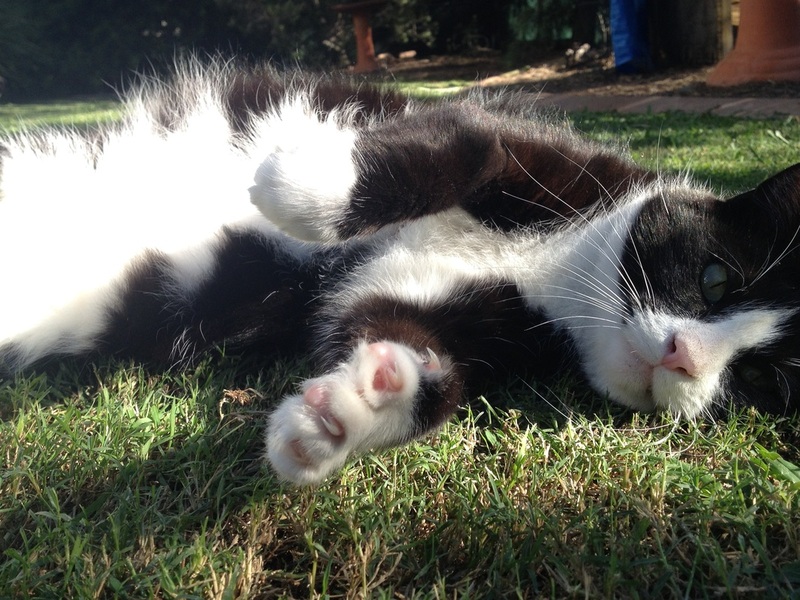 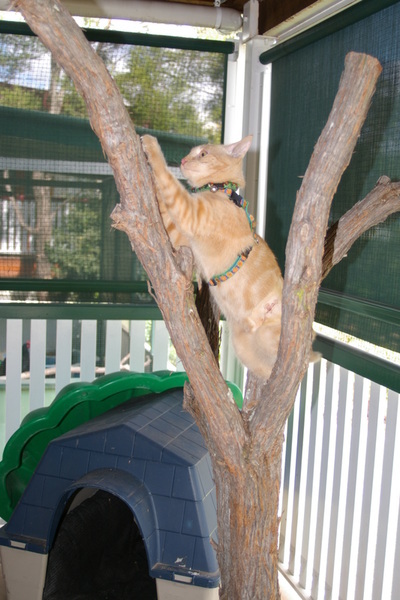 Training Enrichment – Many people don’t realise how receptive cats can be to training. They can be trained as almost as easily as dogs. 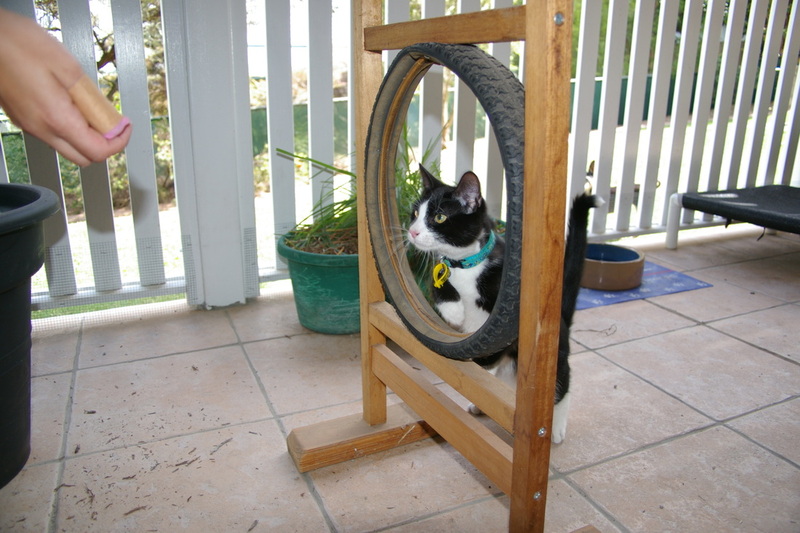 Try teaching your cat to sit, shake a paw, jump through a hoop or target to a target stick. 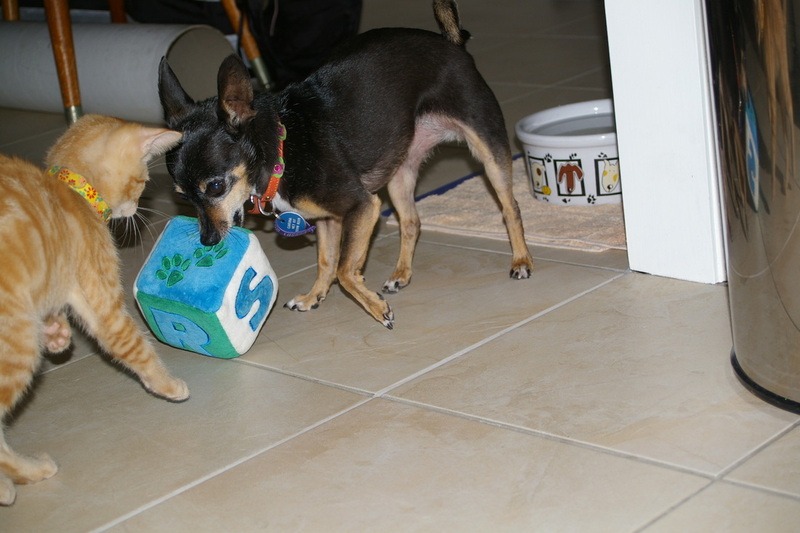 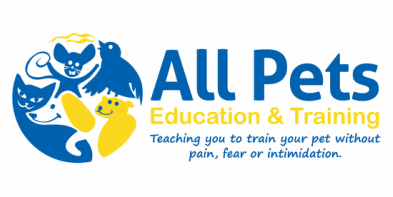 Why not even consider training your cat to take a pill from a pill popper – if you want help drop me an email and I will send you the YouTube link to my cat Gecko and his pill taking. Cats are renowned for sleeping, sleeping and sleeping. 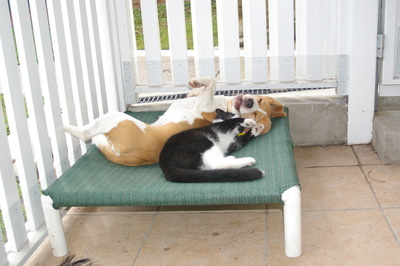 However, maybe this excess sleeping is really just boredom. Why not enrich their world and give them something to do? Provide toys for your cat to play with. 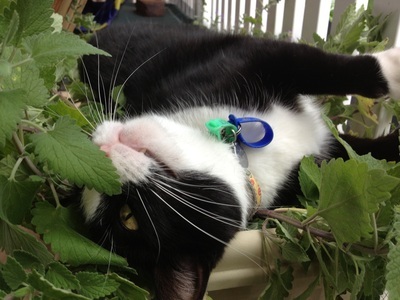 Many cats will enjoy catnip toys. 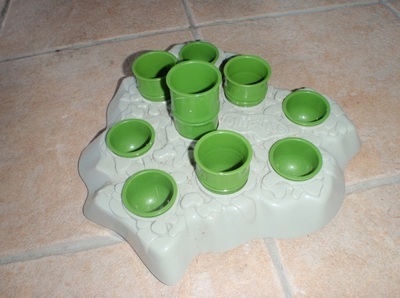 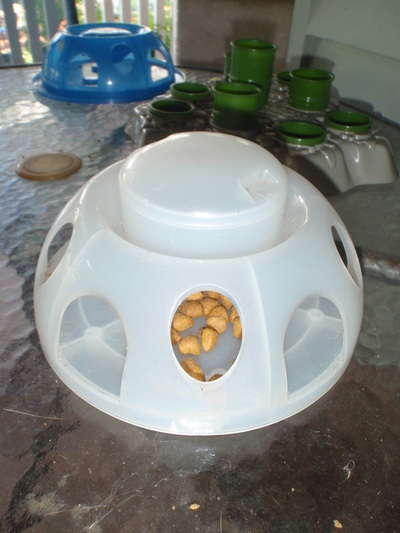 Use food dispensing toys to encourage your cat to earn his/her food or hide treats for them to find later. 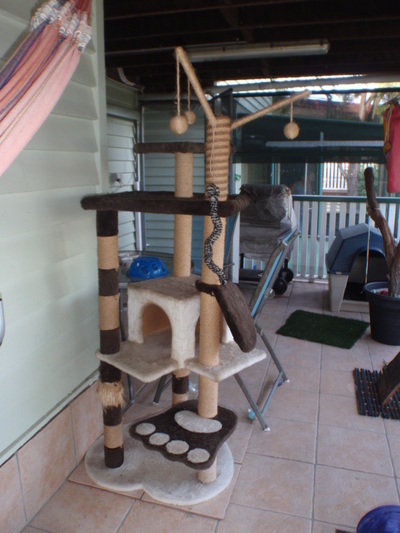 Have more than one scratching post, and preferably made of different textiles and with both horizontal and vertical surfaces. 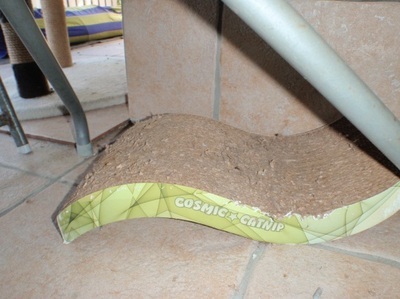 Some cats prefer carpet, others will prefer cardboard or sisal. 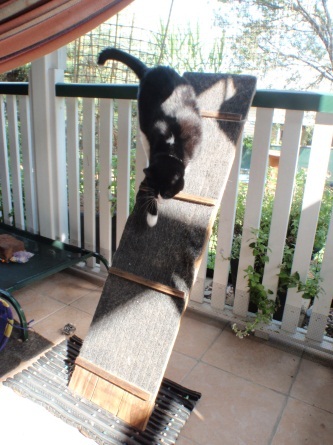 Some cats are vertical scratchers and others are horizontal scratchers. 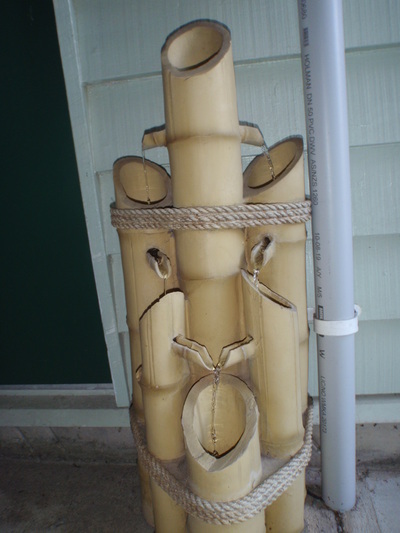 The posts should be solid and tall so as not to topple over. 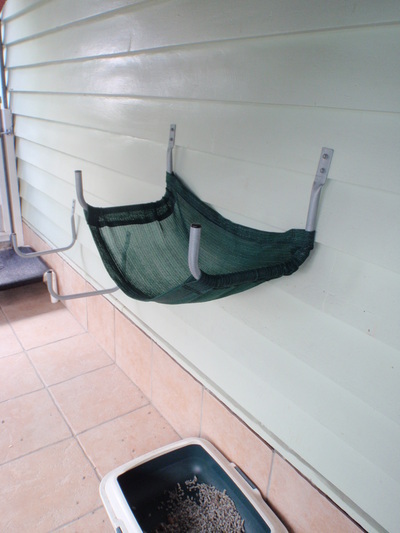 Place the posts where your cat will use them or near an object that they have been scratching inappropriately. 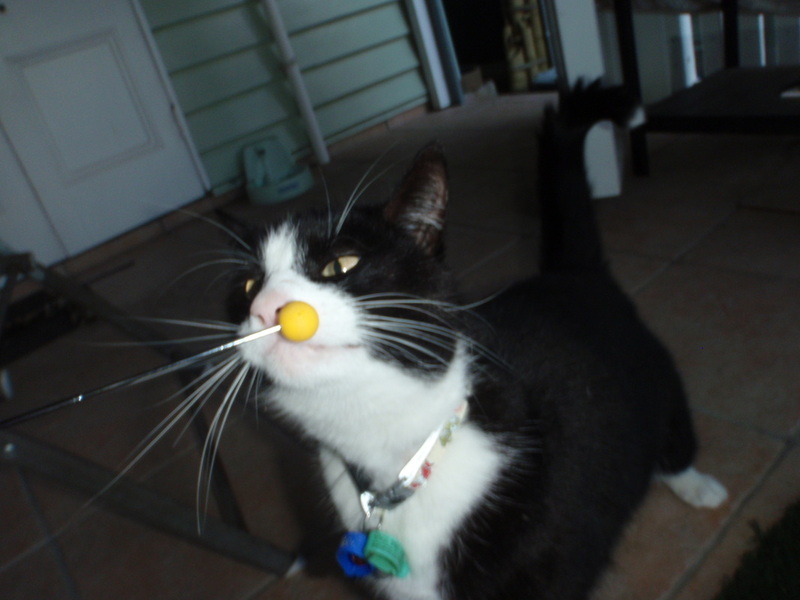 Use the Feline Facial pheromone – Feliway as a spray or diffuser, to help with any kitty stressors. Provide elevated surfaces for your cat to sit, ponder their worlds and sleep. 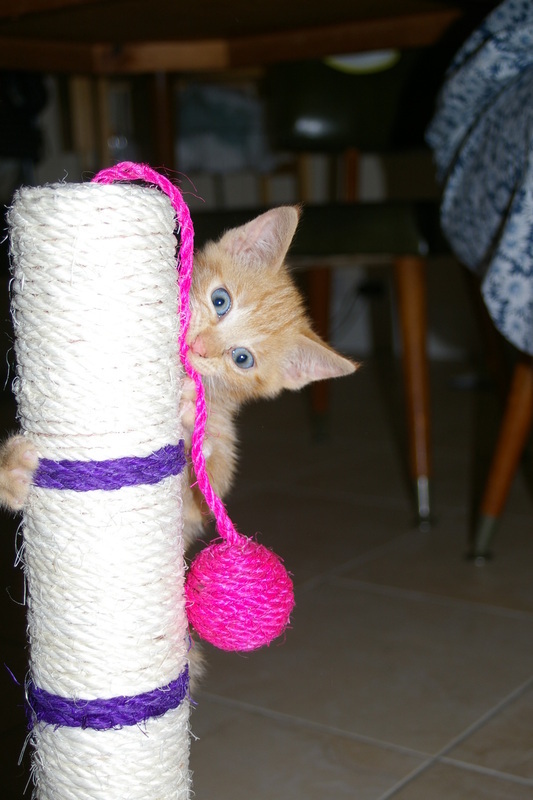 Don’t forget to play with your cat, spend time with your cat, and just appreciate each other’s company. 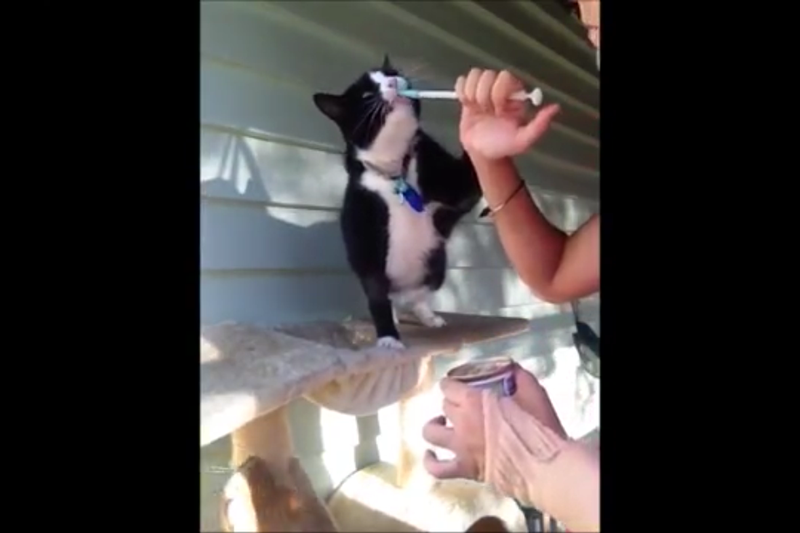 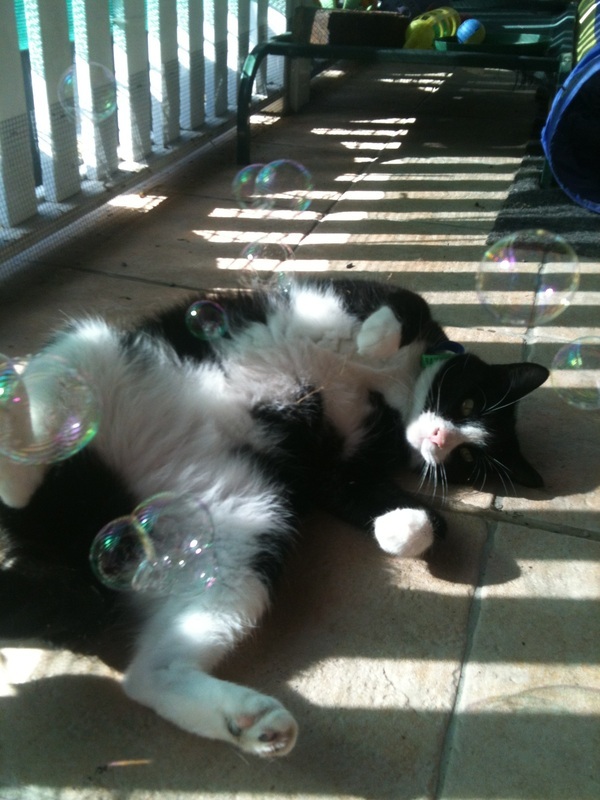 Some cats will play with bubbles. 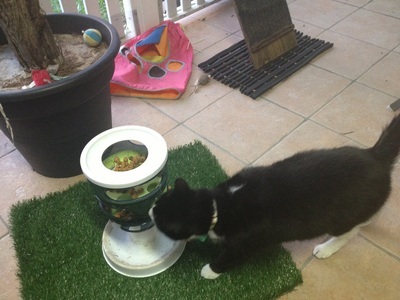 Other cats will enjoy water fountains – they can drink the running water, or play with it. 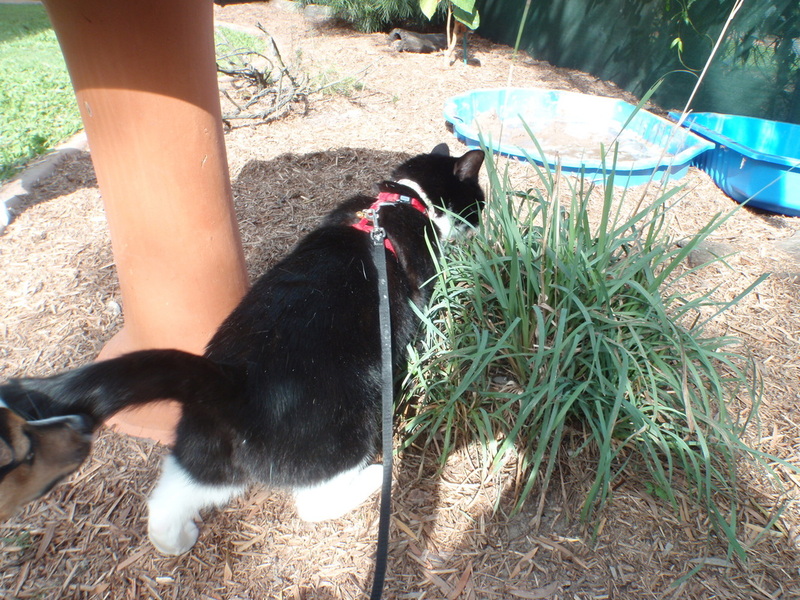 Indoor kitty’s will also appreciate some outside time – on lead and harness – this is easy enough to train.